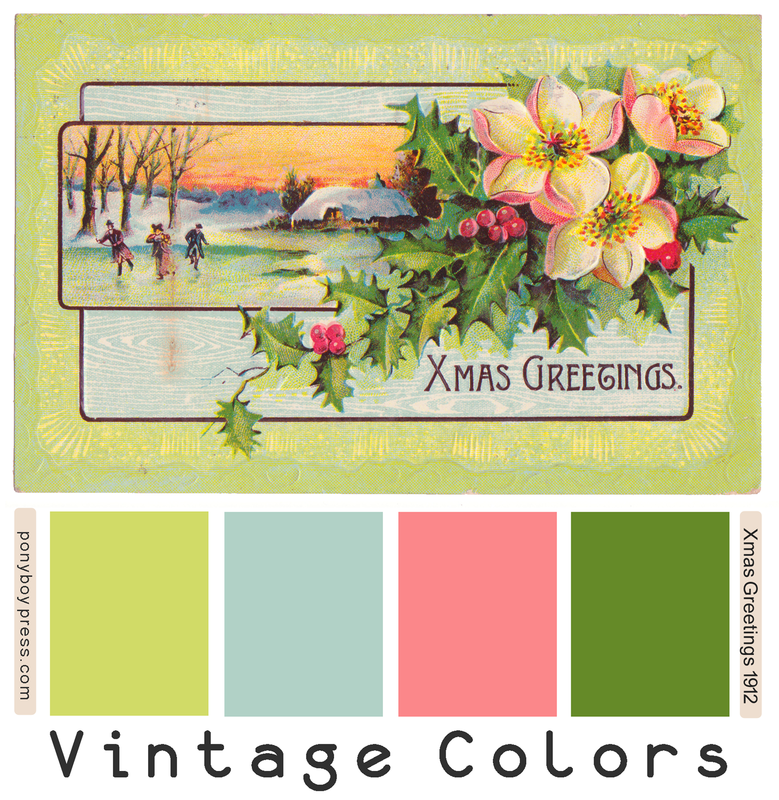 Here are two Vintage Color Palettes that also wish you a Happy Christmas Season and a very Merry New Year. These are unique colors for Winter Holiday postcards, don't you think? I really like the combo of both of these postcards. Both are from the 1910's. The Xmas postcard's hex number colors are from right to left: d1db67, b1d1c6, fb878a, 658a28. The New Years hex number colors are from top to bottom: b7b156, 9d6d48, ebcec6, b4a6ad. 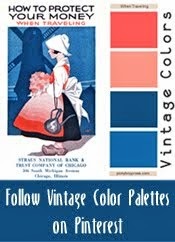 Not sure what you can do with these color palettes? 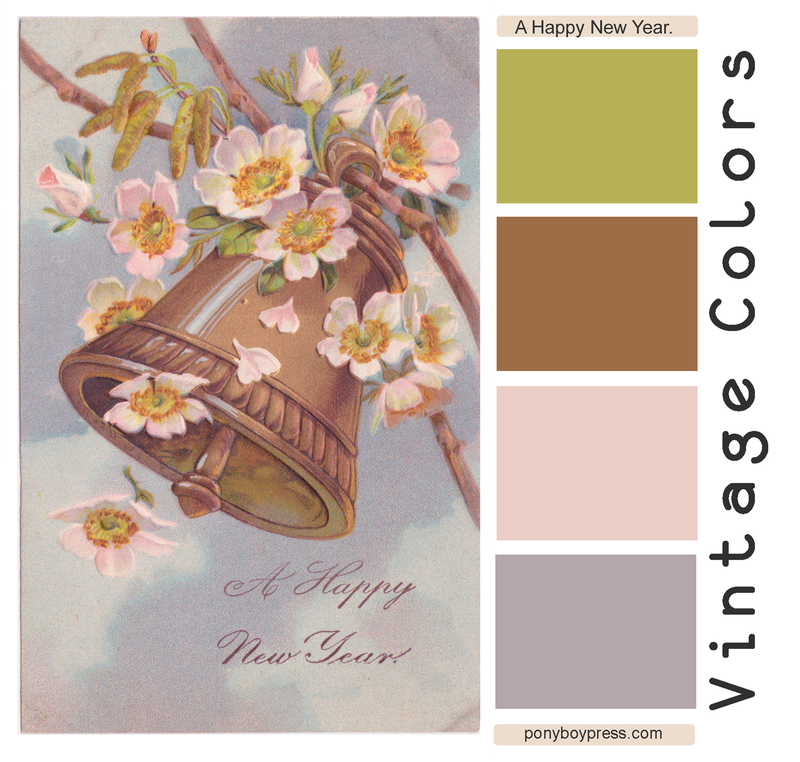 See this blog post about Using Vintage Color Palettes by Ponyboy Press. 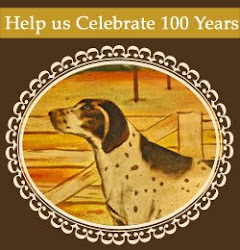 Thank you for following Ponyboy Press over the years. 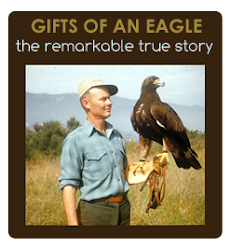 I hope you all have wonderful holidays and a terrific 2015!